Kansas’ new proof-of-citizenship law is getting lots of attention these days, as implementation issues create problems for voters, re-igniting the debate over the wisdom of such requirements. Several years ago, a 12-year-old girl was hit by a car when crossing a four-lane street to get to our neighborhood swimming pool. The subdivision developer’s design, approved by our city, had the pool with about 50 homes on one side of the street while about 250 homes were on the other side. The struck pedestrian was an inevitable outcome. I successfully lobbied the city to install a 4-way stop sign at that intersection. It may be a pain for drivers, but, I guess, bad planning begets more bad planning. Hundreds of people safely cross that intersection each year with no reports of anyone being struck by a car over the last decade. But, imagine it didn’t go exactly that way. Imagine, just as occurred, there was a neighborhood meeting that I, as an interested homeowner, attended. During this meeting, I passed out a Powerpoint presentation (all things in life come down to Powerpoint) that analyzed the benefits of doing nothing, a four-way stop, or a traffic signal. I pushed for a traffic signal, but some residents thought that might invite other problems, and the stop-sign momentum was on. Because I was the guy with the Powerpoint, I became the defacto leader of this movement. Most residents who were at that meeting attended the city council hearing with me in support of this proposed legal change. We filled the city council chamber that evening. Imagine, just as occurred, that the city council approved this four-way stop sign. The city’s top elected official, the mayor, proclaimed this as a positive thing. Then, suppose (as didn’t occur), that the public works department appeared to have only installed one more sign, essentially creating a three-way stop. All of us wondered why the law as passed wasn’t implemented and, thus, wasn’t working. We heard varying stories. A system issue prevented creation of the fourth stop sign. We heard it was a training issue. We heard that some motorists stopped and others didn’t. There was a rumor that the stop sign was installed but it just wasn’t visible, hidden behind a tall tree. All the while, angry homeowners wanted answers. They were all directed to me. It had been my idea, this four-way stop, and the implementation wasn’t working. Never mind that I could do nothing about it and the governing body had approved my recommendation. This “three-way stop” was my fault. The local paper called and asked if there was any progress in reducing the number of people crossing the street on the unmarked side. I explained that until this intersection looked completely like a four-way stop, this would continue. The city’s public works department publicly stated that it had executed the new ordinance properly, and even left fliers with all homeowners explaining that the best way to cross the street was where the third stop-sign was visible. Continue to suppose that this stop sign solution didn’t reduce the number of near-misses of cars hitting pedestrians. In some ways, this new solution, some thought, discouraged pedestrians from going near the intersection. Some predicted that the use of the pool would drop. This was October, though, and the next pool season was months away, so only those most invested in this intersection issue were engaged. It was predicted that this would heat up when the pool opened next year. All the while, every day, I received complaints. True, I pushed for a solution that the elected officials voted on, and passed, but the solution did not resemble what was approved. The city council president expressed his dismay with the public works department, but the public works department indirectly reported to the mayor, who actually referred upset residents back to me. This yarn is about as close as I can come to explain what we are living through right now regarding implementation of the citizenship requirements of the Secure and Fair Election Act, passed in 2011 by the Kansas legislature and signed into law by the governor. There are about 17,000 voters in suspense status throughout the state because they have registered at the driver’s license bureau but that agency, for reasons that aren’t clear, hasn’t forwarded on the voter’s proof citizenship paperwork or noted on the record that this paperwork was displayed. Some of these cases happen when voters go online to change an address for their driver’s licenses, we are told, but actually people already registered in Kansas on January 1 don’t need to produce proof of citizenship documents when re-registering at a different address. In Johnson County, we have about 3,000 of these voters. We mail letters to them and have a robocall to them at the first of each month. Most haven’t responded, perhaps because there isn’t a major election still for a year. When we do talk to one of these voters, we usually find that they showed their birth certificate when registering or offered to do so and were told they didn’t need to. Early in the year, we were told that a system issue was preventing us from receiving what we needed. “The Department of Revenue’s systems weren’t ready and this law should have been delayed until they were,” we were told by a former legislator and an activist against the citizenship requirement. However, there is nothing to suggest that this IS a systems issue according to the article in The Kansas City Star today. We’re not really sure what the issue is, except that we know we can’t solve it. The Secretary of State’s office can’t “solve it” either. True, the Secretary of State pushed for this citizenship requirement after being elected, ostensibly because this was part of his platform. It was his “idea,” much like the stop sign was my idea, but the idea became law, passed by a majority. Just as in my stop-sign analogy, the legislative committee chambers were standing-room only, primarily with supporters, when the bill was reviewed in early 2011. The governor, much like the mayor in my stop-sign story, hailed the measure as he signed it into law. Akin to my public works example, the only agency that can solve this issue is the one required in the legislation to implement the law–the Department of Revenue’s driver’s license bureau. As election administrators, many of us have seen uneven implementation of the “Motor Voter” law, the National Voter Registration Act, that allows for persons to register to vote when applying for services at other state agencies, such as when getting a driver’s license. We had some uneven moments in 2008 when an electronic transfer of records was created between the driver’s license bureau and the Secretary of State’s office, but since then things have been pretty smooth leading into this current issue. Pool season will be upon us soon. Thanks to Brian for this excellent post! REMINDER: Check out the Election Academy’s new online course on voter eligibility here! 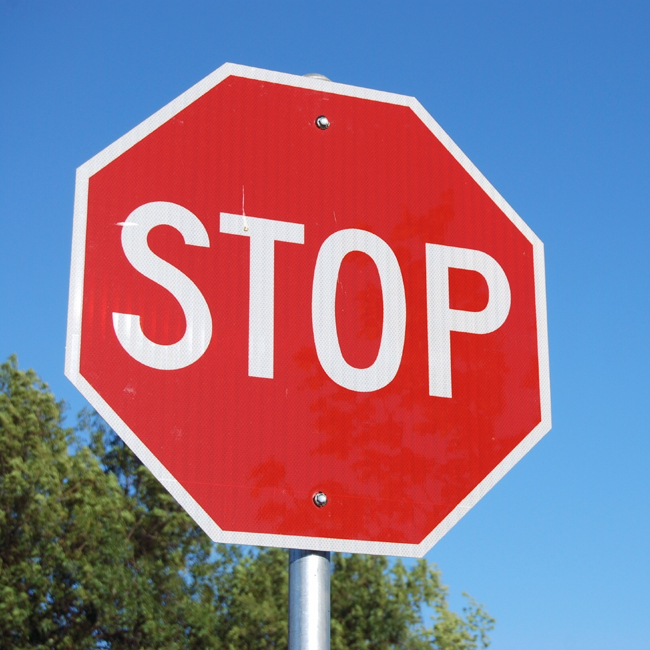 Be the first to comment on "Brian Newby’s Take on KS Proof-of-Citizenship: A Stop Sign Analogy"